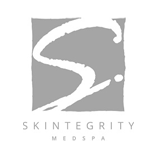 If you are interested in skin care in the Seattle area, look no further than Skintegrity Med Spa in Kirkland! Skintegrity is a full-service medical spa dedicated to helping you achieve healthy and youthful skin. The clinic's extensive service menu includes Botox, chemical peels, injectables, IPL PhotoFacial, micro needling, PRP therapy and more! Skintegrity of Kirkland is dedicated to designing a comprehensive wellness and skincare program just for you, your body and your skin. Skintegrity of Kirkland is the perfect place for you! Feel free to schedule a consultation or contact one of our representatives today!